SIR, — The opening of the reconfigured Jobs and Benefit Office at Rathkeltair House in Downpatrick is welcome news. 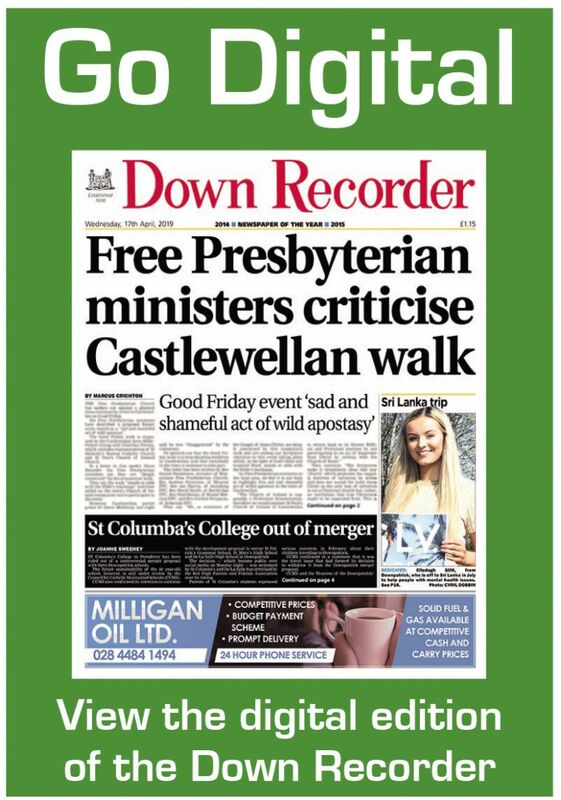 It marks the culmination of several years’ of dedicated hard work to convince senior government officials and Ministers that such a service should remain in Downpatrick, not least, to provide local accessibility to benefit services for many claimants, but also the sustainability of existing jobs. I can well recall insisting with senior officials when I was Minister for the then Department for Social Development that such offices were important in South Down to the promotion of social justice and part of our jobs infrastructure and that such offices should be enhanced and remain open. I also indicated that Downpatrick needed a new office. In this regard, I am pleased that the offices in Newcastle and Ballynahinch are to remain open as well. Furthermore, this now leaves vacant the former Social Security Office in Mount Crescent in Downpatrick which will be put on the public market by the Department of Finance. I think there is an opportunity to utilise this site for either bed and breakfast or Airbnb type holiday accommodation which Downpatrick is crying out for at a time when Patrician heritage requires higher levels of promotion and accommodation facilities to attract overnight visitors. I hope that Newry, Mourne and Down Council, in conjunction with Tourism NI which has responsibility for tourism and economic development, will take this suggestion on board and ensure that such an office/land site provision is not lost to the area.